"Girls Like You" is a song by American band Maroon 5 and serves as the ninth track on the band's sixth studio album, Red Pill Blues (2017). It was written by Adam Levine, Cirkut, Cardi B, Starrah, Jason Evigan and Gian Stone and was produced by Cirkut and Evigan. It was released by 222 Records and Interscope Records as the album's third single on June 5, 2018,, featuring a verse from American rapper Cardi B. 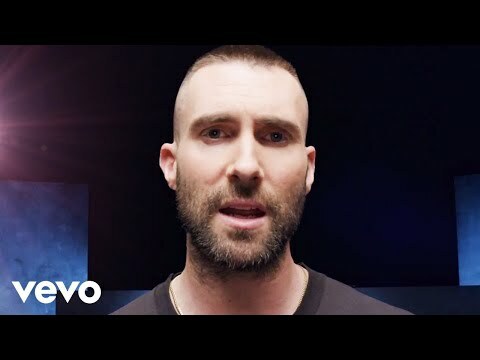 The single is a commercial success, it reached a peak of number four on the US Billboard Hot 100 chart, making it the second top 10 entry from the album, Maroon 5's 14th and Cardi B's 6th top 10 single overall. After extensive touring in support of their fifth studio album, V (2014), Maroon 5 began the writing and recording sessions for their sixth studio album. On October 11, 2016, the band released the tropical house single "Don't Wanna Know", featuring American rapper Kendrick Lamar. Another single, entitled "Cold", featuring American rapper Future, was released on February 14, 2017. Six months later, the band released "What Lovers Do", featuring American singer SZA on August 30. However, when the band unveiled the tracklist of their sixth album Red Pill Blues on October 4, 2017 and the two songs "Don't Wanna Know" and "Cold' are later revealed as stand-alone singles and was featured on the album's deluxe edition. Only "What Lovers Do", served as the album's lead single. "Girls Like You" was revealed as the ninth track on Red Pill Blues via Apple Music. It was announced as the third official single from the album, following the song "Wait".